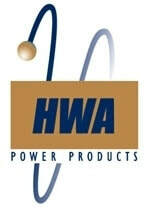 As authorized and professional manufacturers representatives for leading brands, HWA is committed to providing technical sales and support for our customers in the industries we serve. Our broad engineering knowledge provides the integral link between manufacturers and clients. DC flywheel which uses kinetic energy storage vs. batteries for our UPS products. Lower cost of operation for mission-critical facilities that require up to 30 to 40 seconds of backup power. HWA is proud to have worked on many projects over the past 40 years. These projects are typically mission-critical sites where we have supplied design/application assistance, project management, and long-term service and support. Below is a partial list of our customers.